Anyone who follows the illustrious BJJ coach John Danaher on Instagram can attest to the many wins his squad has garnered over the past few months. From Garry Tonon winning his 5th EBI title to Gordon Ryan winning the 88kg division in ADCC and Georges St-Pierre winning the UFC Middleweight World Champion Title, there’s no doubt that Danaher knows a thing or two about strategy. The four mechanical pillars upon which my approach to jiu jitsu is Based: A huge part of my approach to jiu jitsu is based around what I believe are the four most important mechanical underpinnings of the sport. These are 1 – The principle of LEVER AND FULCRUM 2 – The principle of the WEDGE (inclined plane) 3 – The principle of DIRECTIONALITY OF FORCE 4 – The principle of KUZUSHI (off balancing) Through the lens of these four mechanical principles I see most of the sport of jiu jitsu. Everything I teach, every question I ask, and every answer I offer, will make reference to at least one of these principles. 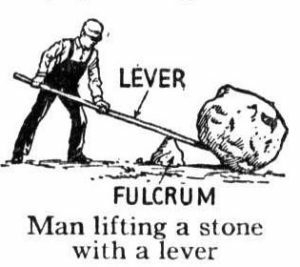 Lever and fulcrum are widely talked about. They are force multipliers that can make the weakest man strong. Wedges are used to immobilize and inhibit or direct movement (among other things) – think of a humble little door stop that can hold any door open even in a hurricane. With regards your own force, a fundamental measure of its efficiency and effect will be the degree to which you apply the force in the appropriate direction. So often we apply large amounts of force in the wrong directions, when a much smaller force in the right direction would have garnered much better results. Kuzushi (off balancing) refers to our capacity to move an objects center of gravity beyond its base of support and destabilize it to create openings for attack. Kano wisely saw the value of this in standing positions. One of my biggest goals is to extend its use into bottom position ground grappling where it can play a tremendous role in advancing our bottom game. I teach jiu jitsu as a primarily mechanical enterprise, backed up by biomechanical and tactical elements. In the future I will talk more about these critical notions. Show me any move in the sport and I will show you how at least three of these four concepts are involved in its operation. Once you learn to observe the sport through these concepts you will see a very different sport indeed. Three of these four mechanical underpinnings have been widely discussed for generations – but the principle of the WEDGE has never been emphasized in jiu jitsu. One of my primary goals as a teacher is to change this.